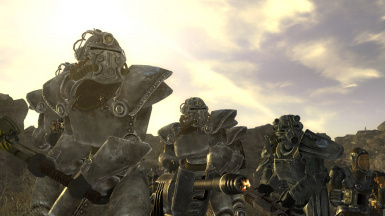 Adds over 3000 spawn points throughout the entire Mojave Wasteland along with an easy to use in-game interface that allows you to configure which NPC you want to spawn and how many each. 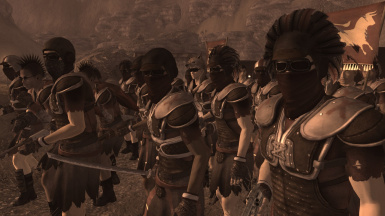 This mod adds over 3000 spawn points throughout the entire Mojave, including, most of the interior cells.There are no manual placements of any NPCs or objects. Everything is controlled through scripts. 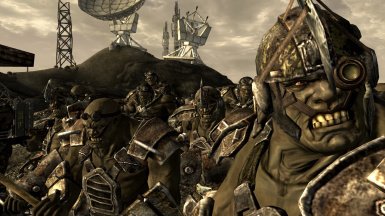 It comes with a Spawn Controller that allows you to configure which NPCs to spawn and how many each with 35 different factions to choose from, including, newly created factions. 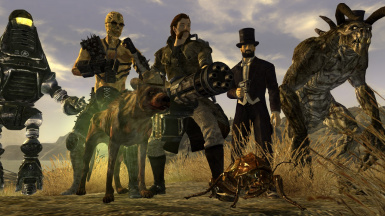 You can spawn any combination of factions that you want to create the most epic battles. 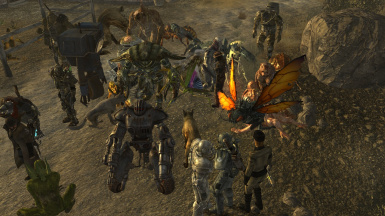 There is no limit to how many NPCs you can spawn. 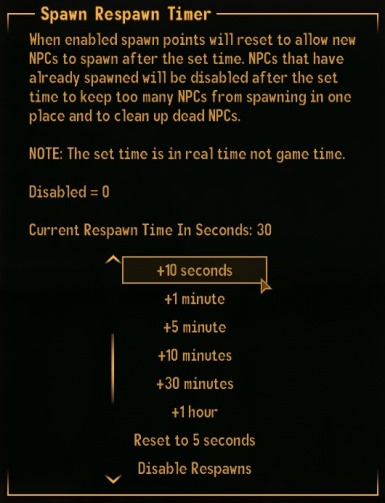 Spawn as many as your PC can handle. 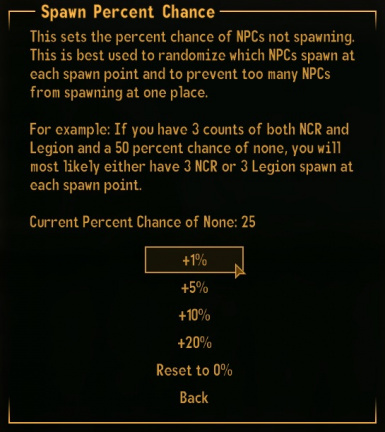 You can randomize NPC spawns by setting a percent chance of NPCs not spawning. 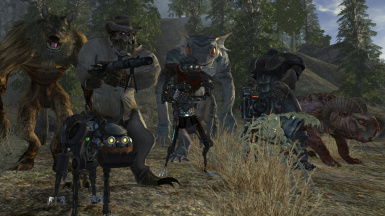 You can also configure NPCs to respawn with an adjustable timer that will allow battles to wage on endlessly. 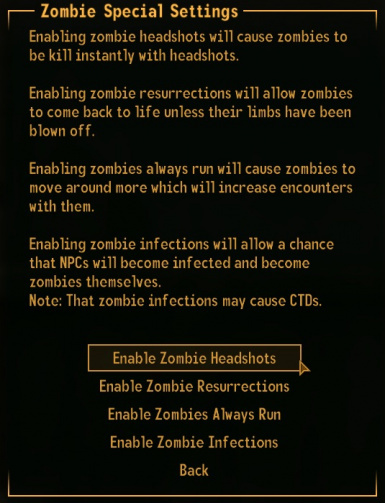 Just like the other NPCs, you can control how many spawn but with zombies you can also configure their health points, attack damage, and their running speed. 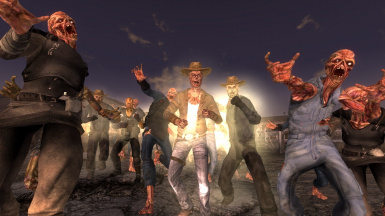 Create the zombie apocalypse the way you've always wanted it. 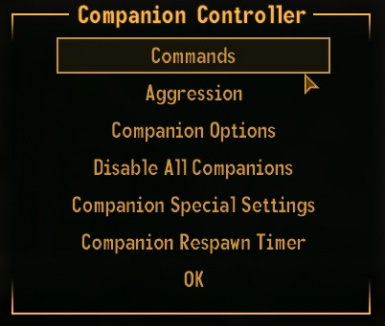 To keep you from fighting an endless battle by yourself, you are also given the Companion Controller. 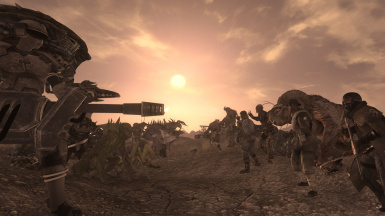 This controller allows you to spawn any number of companions around you, who will follow and aid you in your battles. 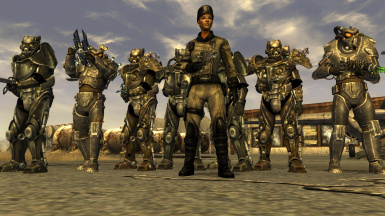 There are over 100 different companions to choose from. 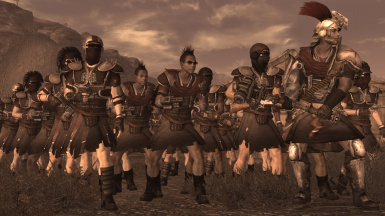 Build the army that you want. 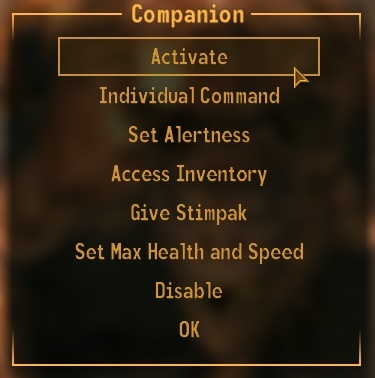 Each companion also comes with their own settings menu which functions similar to the companion wheel. 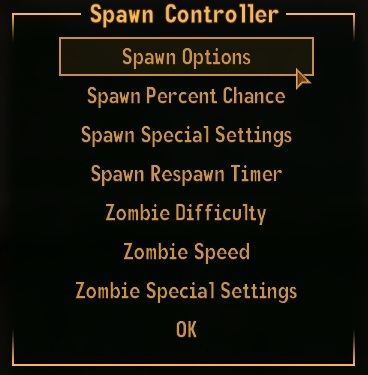 With the amount of configurations this mod offers, it should be possible for anyone to find the settings that will allow their PC to run this mod best without too many game crashes. 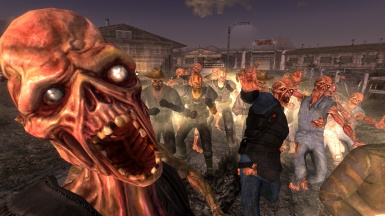 If you are experiencing a lot of game crashes I would recommend using the 4GB Fallout New Vegas mod. 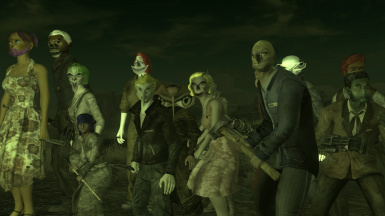 This mod mostly only adds things to the game without modifying any of the vanilla content which should make it compatible with any other mod. 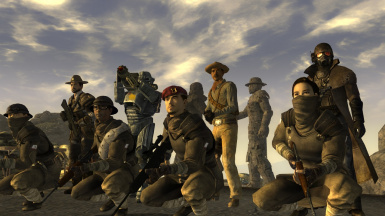 Only requires Fallout: New Vegas. That doesn’t include any of its DLCs or NVSE. Quetzlsacatanango for the Qs Critters Resource which includes the Mr. Claws, Robomutt, War Machine, Evolved Gecko, Destructo Bot, Werewolf, Parasite, Evolved Lakelurk, FEV Horror, and Mole Guai creature models.